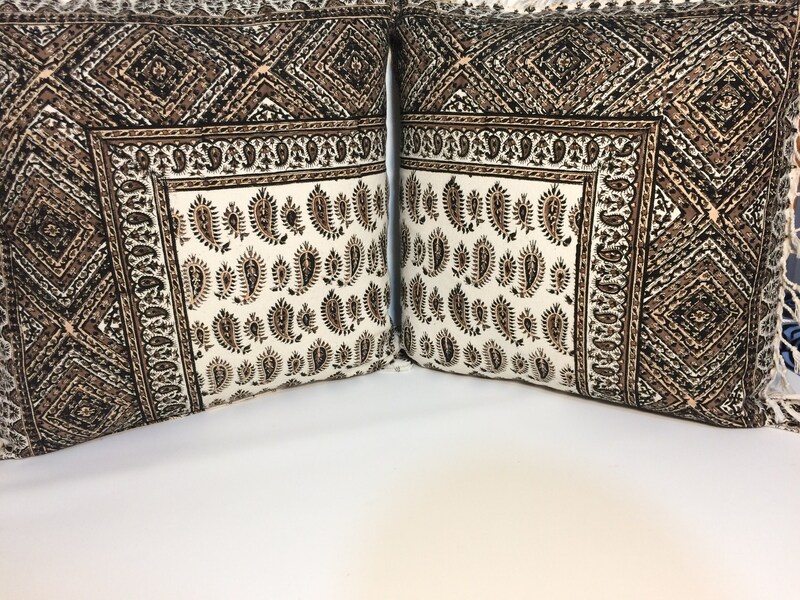 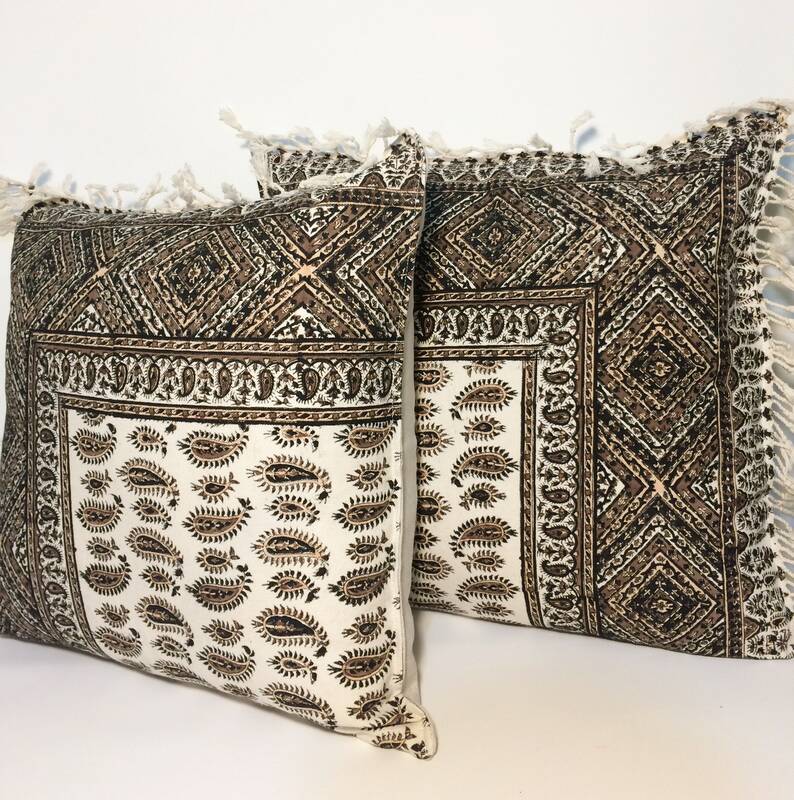 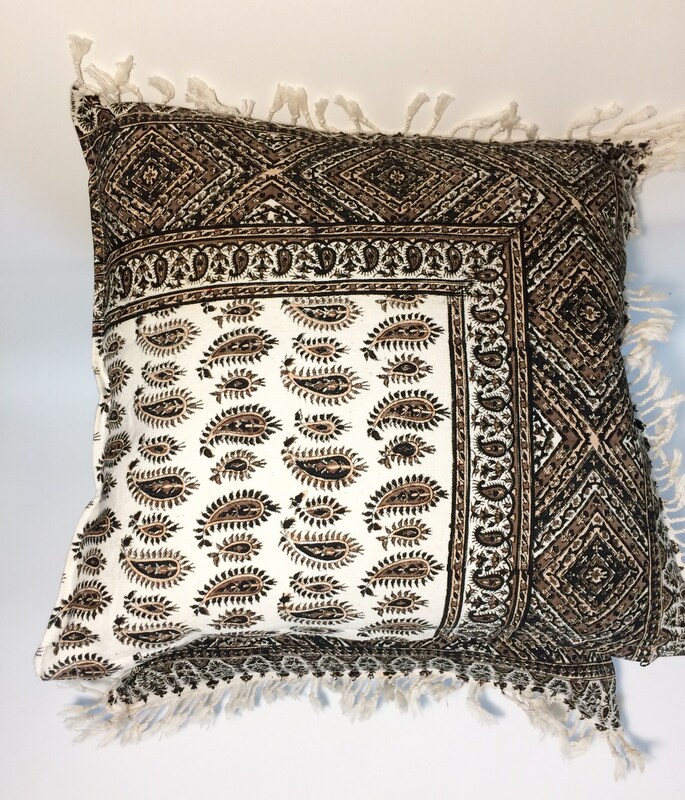 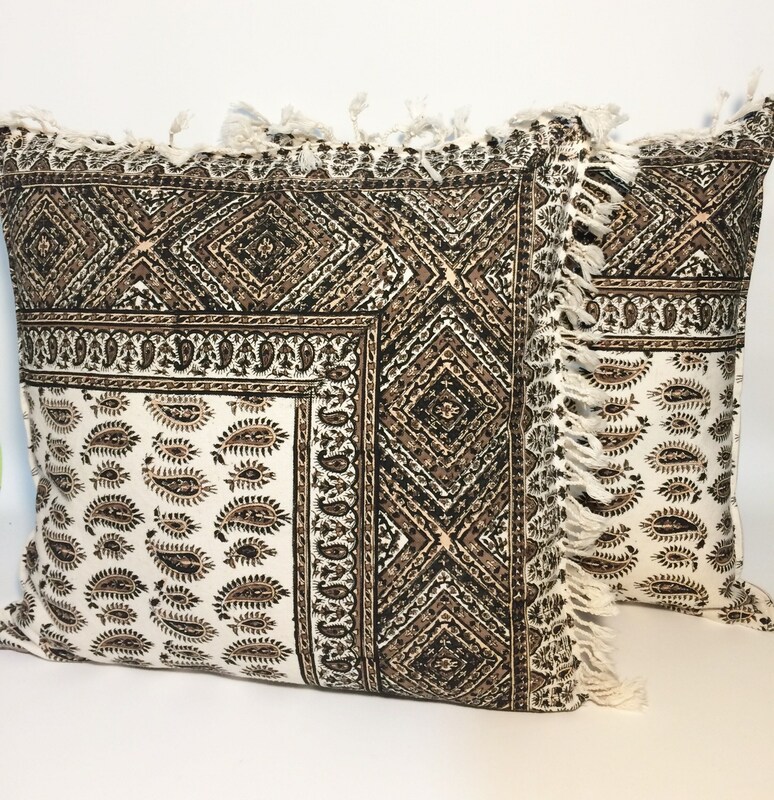 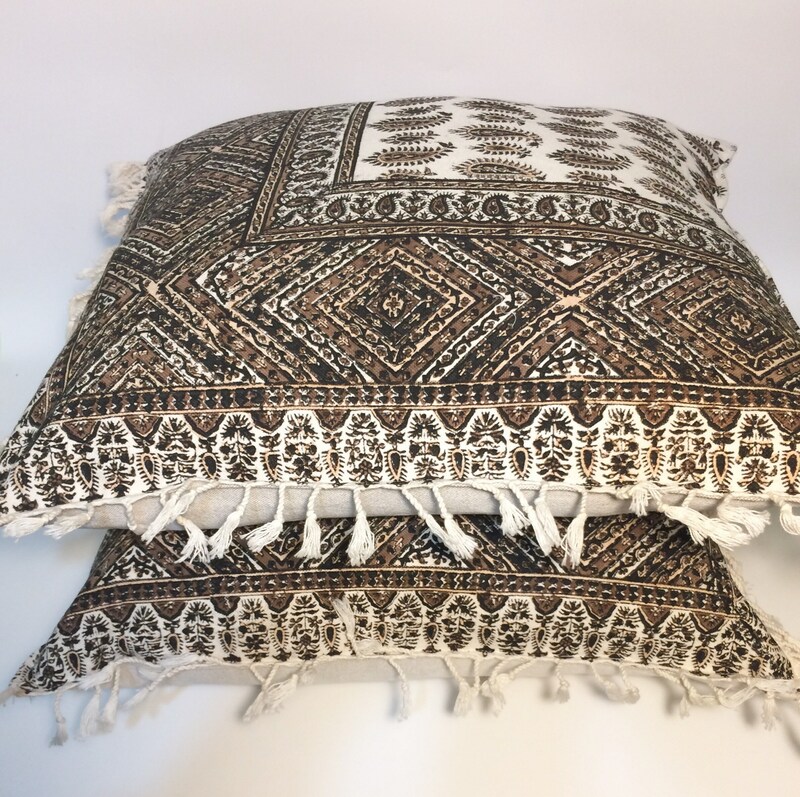 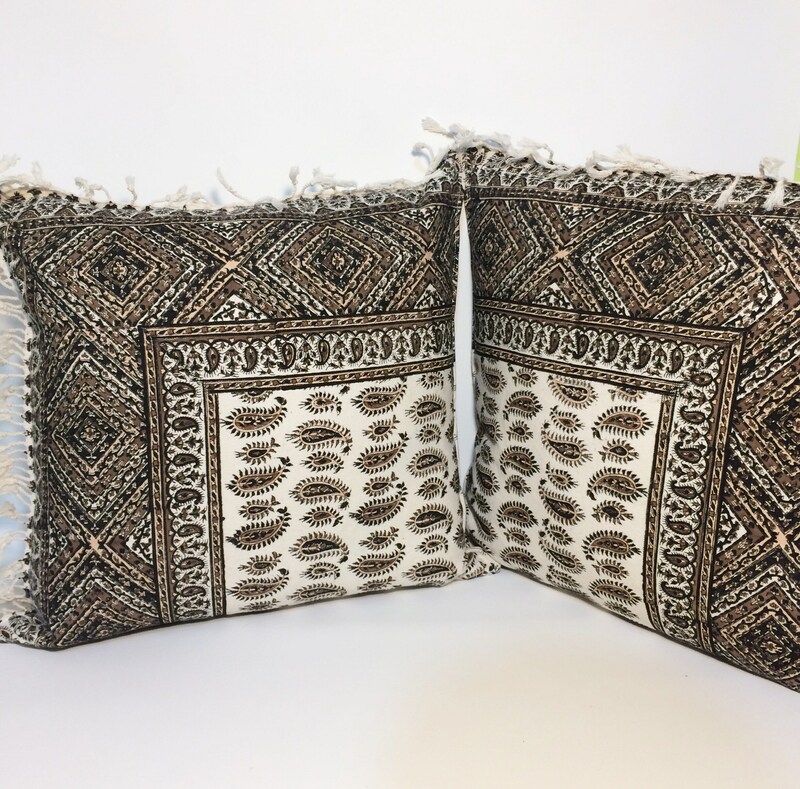 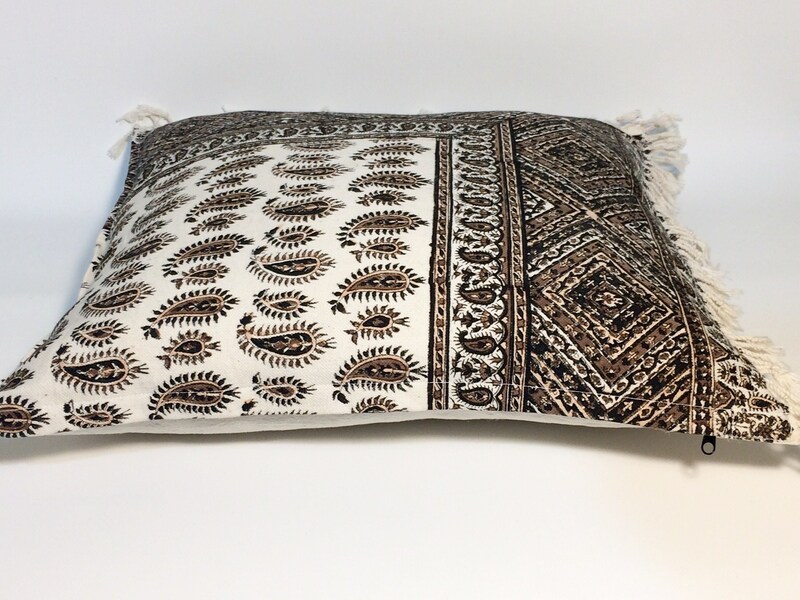 Decorative pillow cover, block printed calico with traditional print at the front natural cotton and dyes. 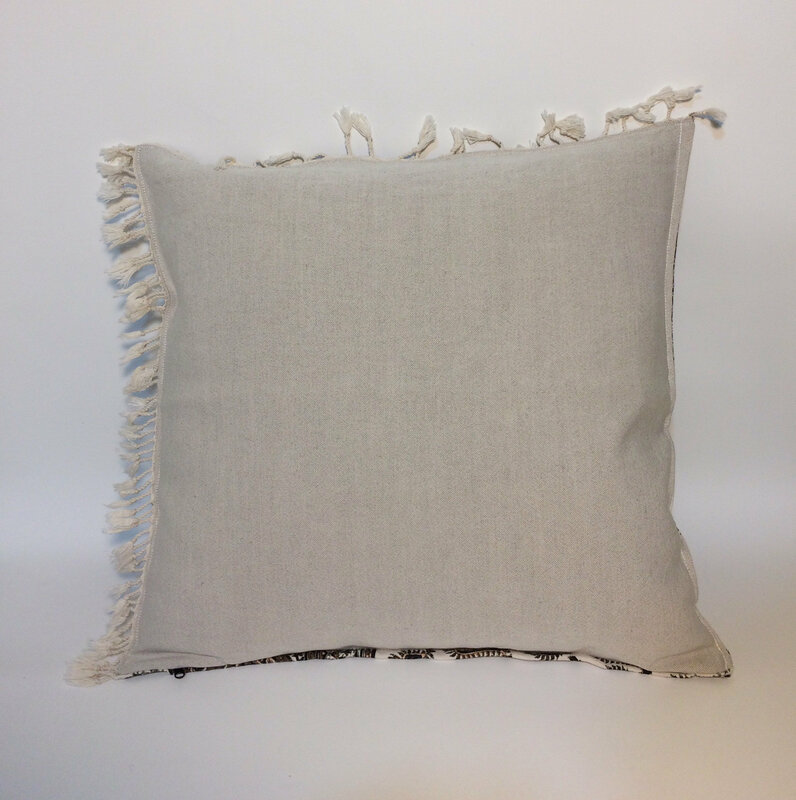 Plain Irish linen fabric on the backside with the zipper attached at the back in envelope style. 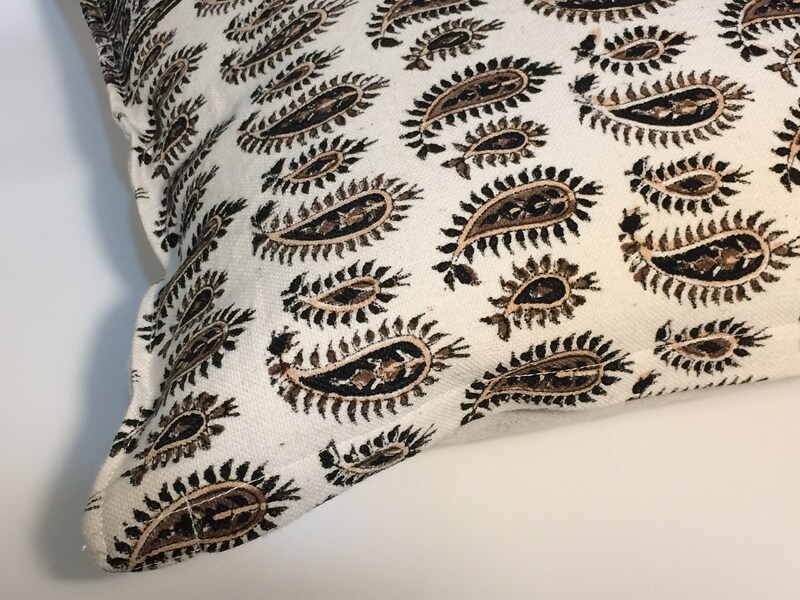 Thanks for looking at this handmade pillow cover !